Born Winston Hubert McIntosh in the rural parish of Westmoreland, Jamaica, in 1944, he moved to the notorious slum of Trench Town (so named because it was built on the “trenches” that drained the sewage of nearby Kingston) at age 16. His mother strongly influenced him, and her sensibility would become apparent in both his lyrics and views; she was particularly concerned that he have a Christian upbringing. He attended the local church daily, and his experience there – singing in the choir and learning to play the organ – formed a sort of musical apprenticeship that prepared him for his subsequent career. Peter sought refuge from the rigors of poverty in pop music, notably the R&B and doo-wop beamed to the Caribbean by stations in Florida and Louisiana. 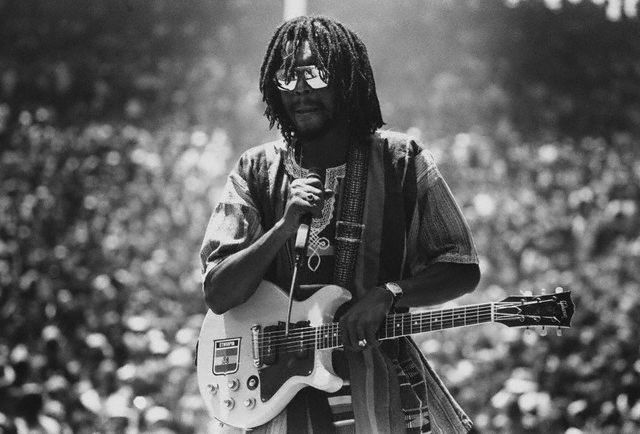 Having cultivated his guitar skills and his expressive baritone vocals, he began playing with fellow Trenchtown roughnecks Bob Marley and Neville “Bunny” Livingstone in the early 1960s; because he never knew his father, he came to see the group as his first real family, and his bandmates as his brothers. 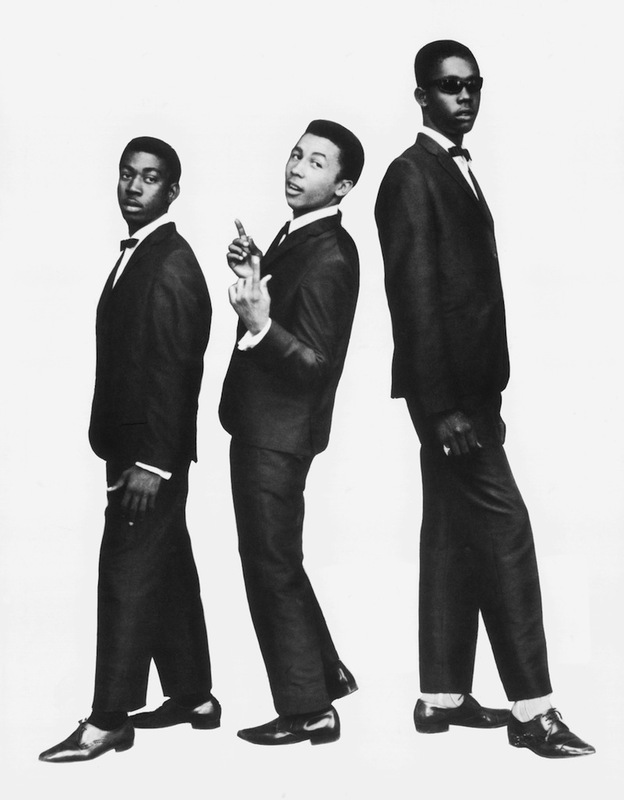 This nexus was the very earliest seed of the Wailers, who scored a #1 hit in 1964 with the ska jam “Simmer Down.” The band’s affinity for American soul and gospel was further ignited by a burgeoning interest in global rhythms and the teachings of the Rastafarian religion. As the ’60s wound down – and world political consciousness heated up – the Wailers pioneered a new musical direction: slower than ska and rock steady, this new sound combined thick grooves with more socially relevant lyrics (strongly informed by the tenets of Rastafari). What we now recognize as modern reggae was born. Tosh was the backbone and heartbeat of the Wailers as well the group’s most accomplished musician – and a constant in the band throughout the arrivals and departures of his musical brethren. His tireless guitar, keyboards, percussion and other instruments, meanwhile, formed the foundation of the Wailers’ sound and essentially set the course of reggae music. He was also a prolific and powerful songwriter, his militant perspective offering a bracing contrast to Marley’s more reassuring tone; in a sense he played Lennon to his bandmate’s McCartney. This was borne out in his solo work, especially in such stirring songs as the purposeful plaint “Equal Rights,” the unstoppable unity anthem “African,” the ganja manifesto “Legalize It” and his mesmerizing, indelible take on Joe Higgs’ “Stepping Razor.” The latter title was also one of Tosh’s nicknames (alongside Bush Doctor, The Toughest and other monikers) – a highly fitting one, given the slashing wit of his wordplay, the keenness of his intellect, and the cool slice of his guitar. “I’m dangerous,” Tosh sang on the latter song, and as everyone from local toughs to government enforcers would come to understand, he wasn’t kidding. Tosh began recording and released his solo debut, Legalize It, in 1976 with CBS Records company. The title track soon became popular among endorsers of marijuana legalization, reggae music lovers and Rastafari all over the world, and was a favorite at Tosh’s concerts. His second album Equal Rights followed in 1977. Tosh organized a backing band, Word, Sound and Power, who were to accompany him on tour for the next few years, and many of whom performed on his albums of this period. In 1978 the Rolling Stones record label Rolling Stones Records contracted with Tosh, on which the album Bush Doctor was released, introducing Tosh to a larger audience. The album featured Rolling Stones frontmen Mick Jagger and Keith Richards, and the lead single – a cover version of The Temptations song “Don’t Look Back” – was performed as a duet with Jagger. It made Tosh one of the best-known reggae artists. Mystic Man (1979), and Wanted Dread and Alive (1981) followed, both released on Rolling Stones Records. Tosh tried to gain some mainstream success while keeping his militant views, but was largely unsuccessful, especially compared to Marley’s achievements. That same year, Tosh appeared in the Rolling Stones’ video Waiting on a Friend. In 1984, after the release of 1983’s album Mama Africa, Tosh went into self-imposed exile, seeking the spiritual advice of traditional medicine men in Africa, and trying to free himself from recording agreements that distributed his records in South Africa. Tosh also participated in the international opposition to South African apartheid by appearing at Anti-Apartheid concerts and by conveying his opinion in various songs like “Apartheid” (1977, re-recorded 1987), “Equal Rights” (1977), “Fight On” (1979), and “Not Gonna Give It Up” (1983). In 1991 Stepping Razor – Red X was released, a documentary film by Nicholas Campbell, produced by Wayne Jobson and based upon a series of spoken-word recordings of Tosh himself, which chronicled the story of the artist’s life, music and untimely death. In 1987, Peter Tosh seemed to be having a career revival. He was awarded a Grammy Award for Best Reggae Performance in 1987 for No Nuclear War, his last record. His work trumpeted freedom and the struggle against injustice, and he emphasized the connection between music and revolution by toting a guitar in the shape of an M16 rifle. Hounded, beaten and jailed by Jamaican authorities, Tosh never backed down or soft-pedaled his views. But he often expressed those views with humor, and was capable of lighthearted surprise as much as full-voiced outrage: an accomplished unicyclist, he often pedaled onstage, to the delight of his audiences. His playful side and irrepressible charisma proved especially charming to women; Tosh’s reputation as a ladies’ man is well deserved. Among the causes about which he spoke most eloquently and campaigned most tirelessly: the peril of nuclear weapons, the injustice of Apartheid (he was the first major songwriter to discuss the issue openly) and the benefits of legalizing herb. He felt music was a vital tool in all these struggles, and to that end performed countless benefit concerts (including the Youth Consciousness performances in Jamaica, designed to galvanize young Jamaicans against violence and toward political enfranchisement) and established a “Rasta Reggae Radio” station in Jamaica to comfort the afflicted and afflict the comfortable. He also joined such megastars as Bruce Springsteen, Jackson Browne, James Taylor, the Doobie Brothers and Bonnie Raitt for the celebrated “No Nukes” concerts mounted by MUSE (Musicians United for Safe Energy) in 1979, which ultimately became a successful album and film. 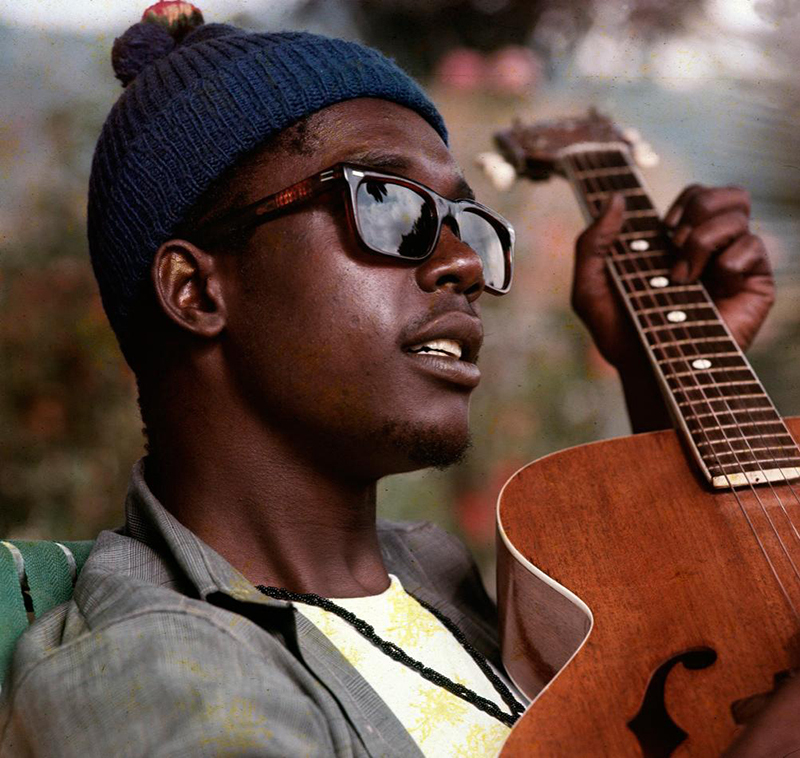 Rolling Stone declared the performances “a stunning testimony to the depth of the shared beliefs of the generation which came of age in the sixties.” Unlike his U.S. peers, however, Tosh frequently put himself in danger as a result of his activism – especially his constant needling of Jamaica’s rulers. But Tosh’s vision wasn’t limited to changing laws and reducing weapons. In “African,” he offers a moving testimony to shared roots, declaring, “Don’t care where you come from/As long as you’re a black man, you’re an African.” The song’s passionate demand that black people ignore the shades of their “plection” and celebrate their common origins continues to resonate powerfully. “Get Up, Stand Up,” which he co-wrote, became the anthem of Amnesty International. Tosh hit the global charts with the classic-soul cover “Walk, Don’t Look Back,” his smash duet with Mick Jagger (and became the first artist to sign with Rolling Stone Records), and was awarded a posthumous Grammy Award for Best Reggae Performance in 1987 for “No Nuclear War” – just months after he was murdered in a controversial home-invasion robbery. But though his life was snuffed out by violence, his star has shone ever brighter in the ensuing years. 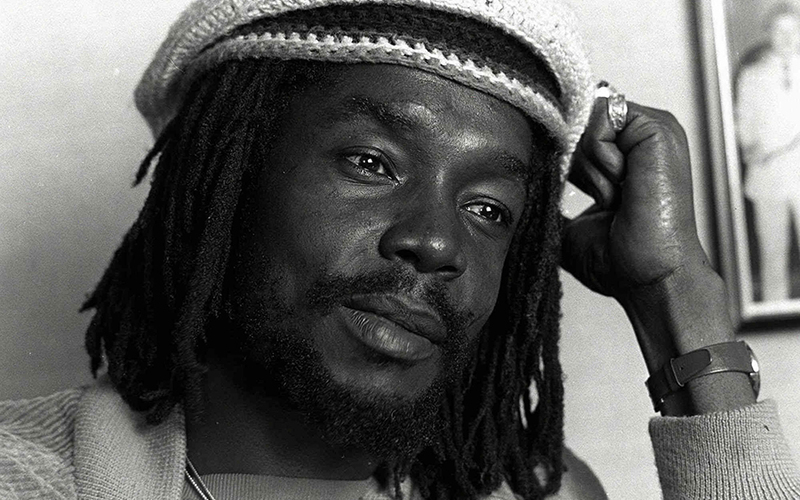 Peter Tosh’s example, as both artist and activist, continues to inspire creators and idealists around the world. He was and is a true leader whose music and message inspires people on every continent throughout the world.